NEW v2 Complaint Lock! Each unit now comes with an extra main housing to better ensure perfect installation! Convertible? What the hell does that mean? 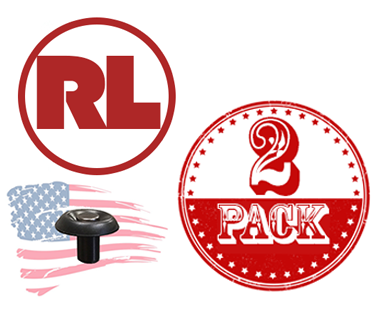 This compliant magazine release lock provides the ability to rapidly restore your firearm’s original function while traveling outside of your home state. That’s right. 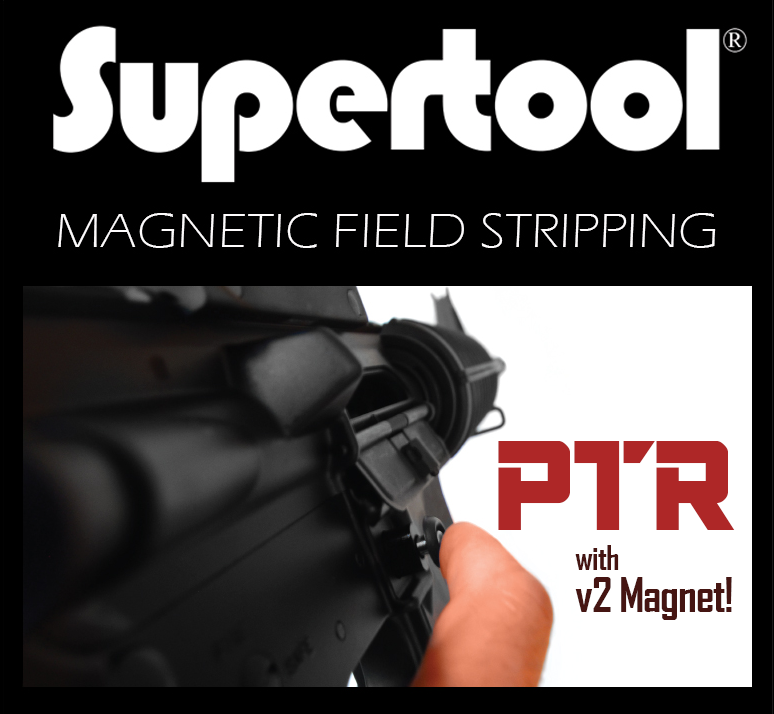 Our product is fully-reversible so that you can enjoy both the form and function of your rifle as it was meant to be with the use of a magnetic Supertool. This also provides you the legal right to keep all your “evil features”. 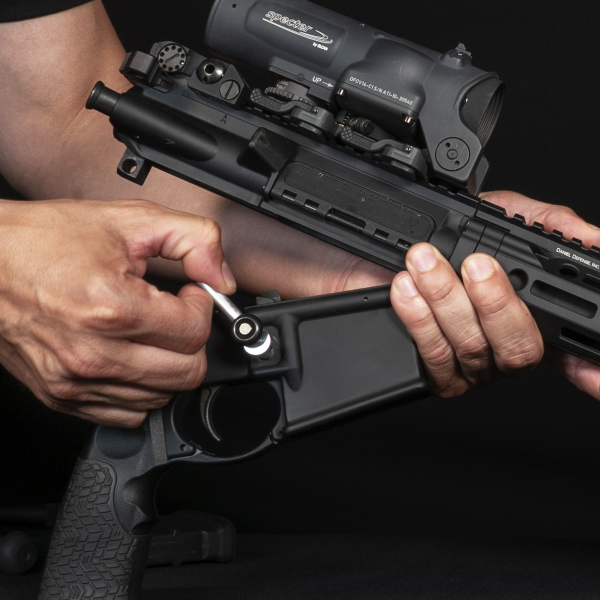 No need to go “featureless” with a new Compliant Rifle Lock. 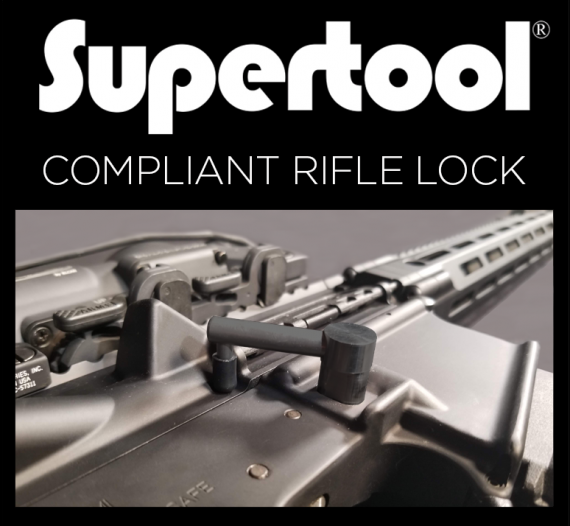 Supertool’s Compliant Rifle Lock complies with California, New York, Connecticut, Maryland, New Jersey and other states (and other local municipalities such as Cook County Illinois) where detachable magazine restrictions are state law. California recently passed new assault weapon regulations with a final compliance date of June 30th 2018. 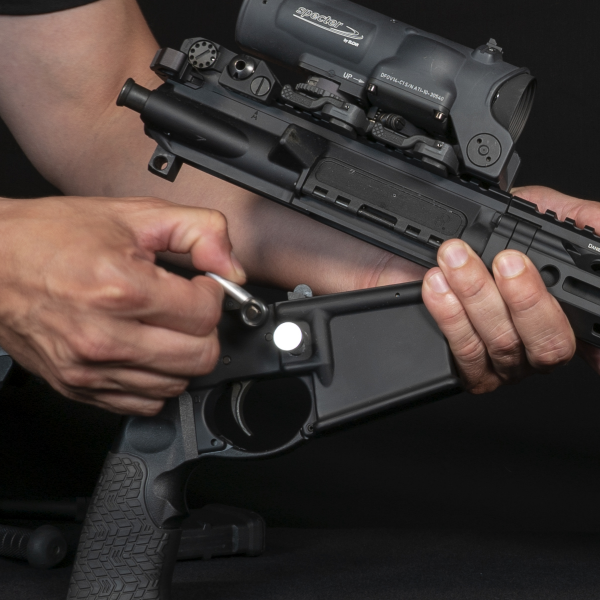 In order to meet this deadline and avoid a legal predicament, you need to either register your rifle or to avoid registration, install a compliant rifle lock by June 30th. There is a ongoing legal battle to fight these new regulations so hopefully this will all go away in the near future but until then, and to avoid registration you have to install one of these new devices. 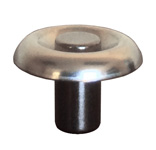 This new lock replaces the California bullet button. 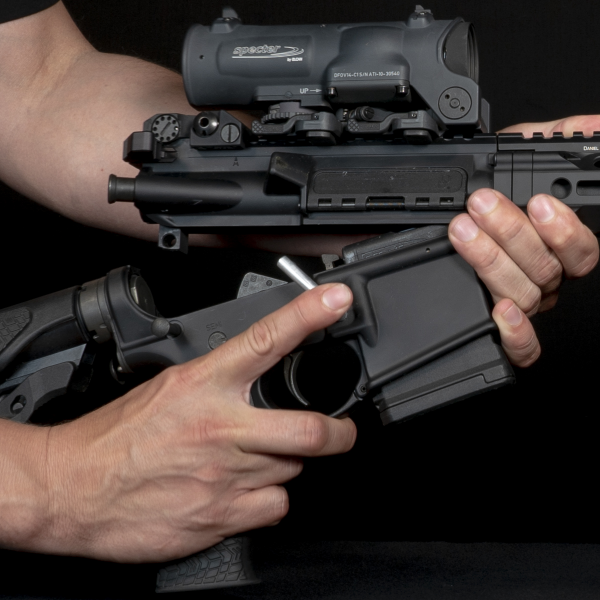 In order for this new lock to comply with California’s new restrictions, you cannot release the magazine without first disassembling the firearms action. There are many different designs currently available from various companies. 100% of these new companies are focused on improving the speed to operate this new locking device. We have taken a new and opposite design perspective. 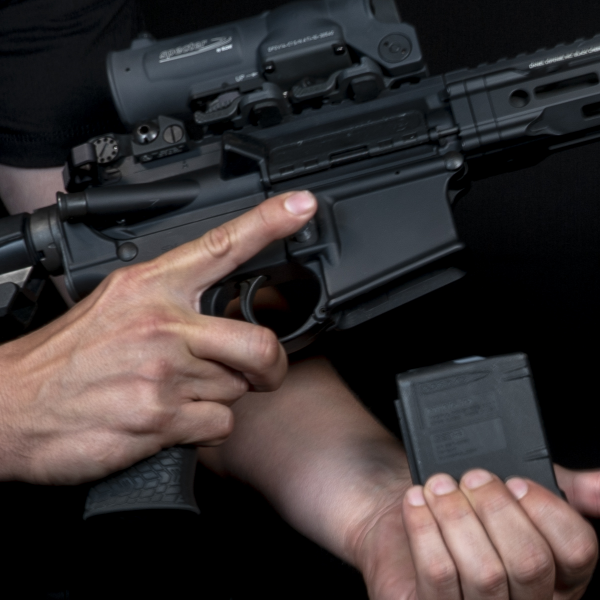 Our designers were instead focused on a fast and legal way to remove the device when traveling out of state or in an emergency, restoring the original function of your firearm. 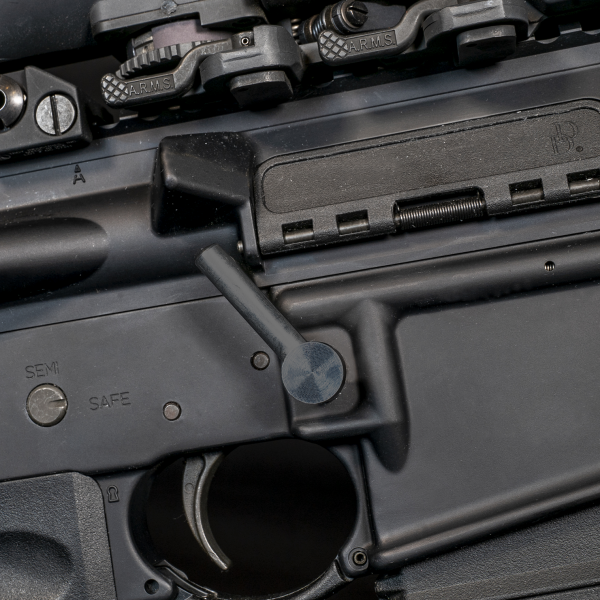 Additionally, every other device currently available requires the removal of numerous stock ar15 parts. Some designs require drilling new holes in your lower. Some designs eliminate additional functions like the ability to lock your bolt to the rear. 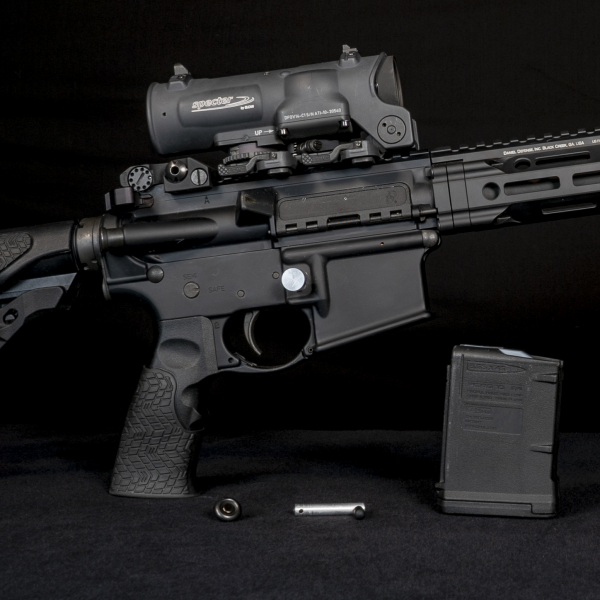 All these other devices make it very difficult to restore your rifles original function. 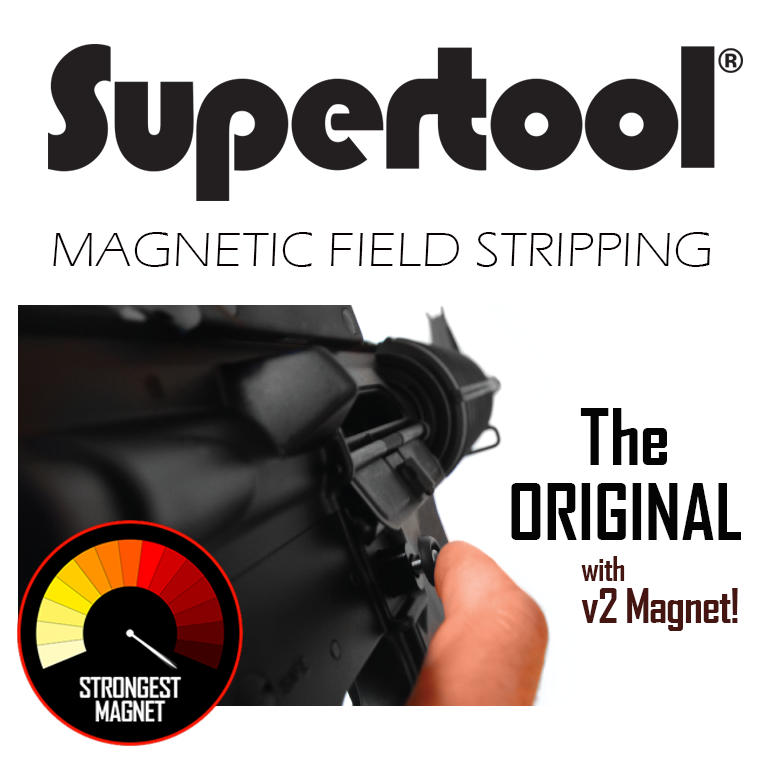 Our lock not only utilizes all your stock ar15 parts minus the bullet button but it also provides a unique patent pending way for you to rapidly remove the device with the use of a magnetic field stripping tool from supertool. Truth be told, nobody wants to install this new device. 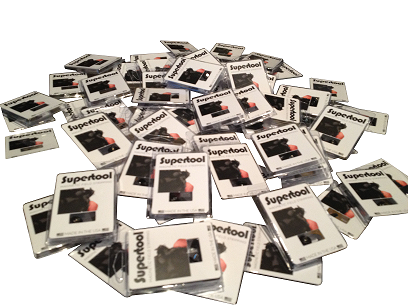 Instead of focusing on improving the speed to function this lock, we provide you with a fast and easy way to remove it for half the cost of our lowest priced competitor. 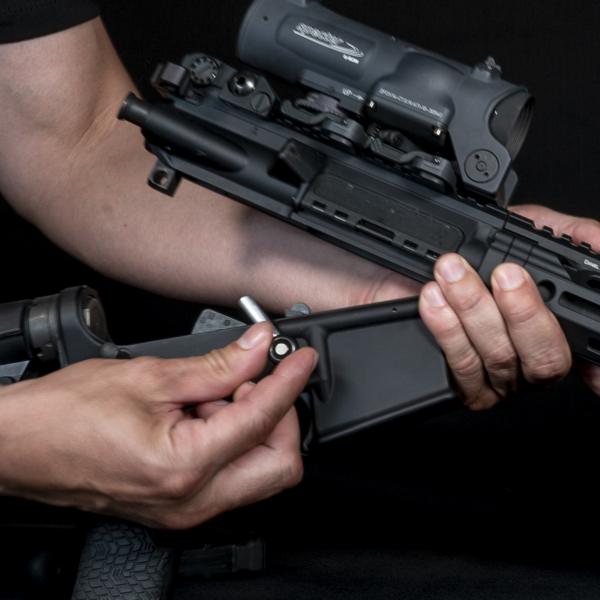 While traveling outside of the state of California, to states that do not require this type of device, here’s how to rapidly remove the lock restoring your rifle original function. Step 2: place the tool on the center of the top of the lock like this….you will feel the magnet pull the internal ghost pin releasing the dogleg. Why is this legal? In the new assault weapons regulations, the restrictions clearly define a magnet as a “tool”. So removing the dog leg from the device requires the use of a “tool” complying with the new California restrictions. 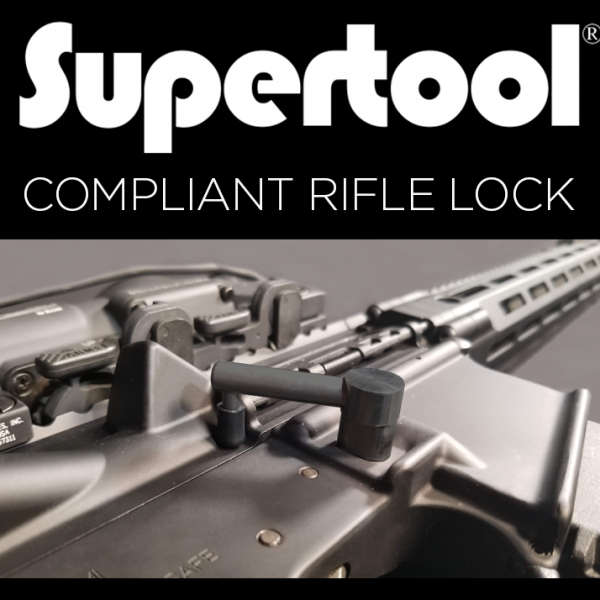 To learn more about Supertools new compliant rifle lock or to purchase a new device for your rifle, please visit supertoolusa.com or compliantrifle.com. Both links are provided on the profiles description above or below.